About 18% of mobile users in the world have chosen iOS as their mobile operating system. 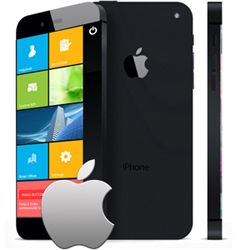 Their reason is quite simple that the features provided by iOS have never ceased to amaze us. Every new iPhone & iPad comes with enriched looks and high quality performances. SIERRA can develop enterprise level mobile application for iOS users with the elegance that would match their user experience. SIERRA’s mobile applications developed for the iOS can fully utilize the fascinating new features provided by the currently released – iOS 10 such as iMessage, SiriKit, Maps etc. to enhance user experience.